Inspired by the hustle and bustle of downtown life, Case Logic’s new LoDo collection features a new line of commuter bags and laptop sleeves that capture a balance of style and function while blending contemporary design with relevant features. The LoDo collection brings an urban flair to tech storage featuring three bold colours to choose from: versatile Petrol Green, elegant Dress Blue and sophisticated Graphite. With simple lines and bold stitching to capture attention as well as soft cotton canvas and real leather touch points, each bag and sleeve serves as the ultimate work-to-play solution. 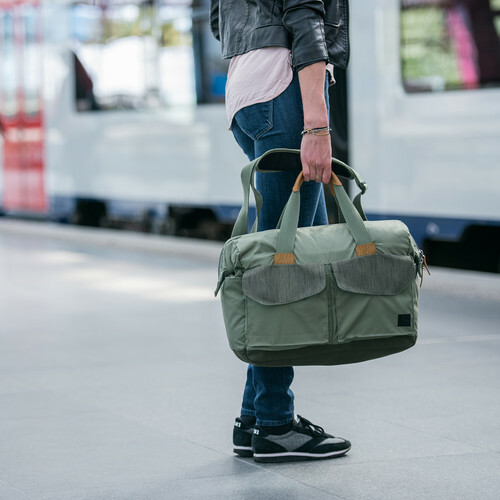 Today’s urbanite requires a bag that will stand up to a busy day, whether they’re taking the subway to work, hitting the gym or overnighting for the weekend. The LoDo Satchel is a stylish solution offering thickly padded laptop (15.6”) and tablet (10.1”) compartments with a unique wide-mouth opening for ease of use. Its leather handles and zipper pulls, pockets with magnetic closures, water bottle pouch and removable shoulder straps provide versatility and adaptability no matter what the day brings. Additionally, the LoDo collection features two distinct laptop bag styles. The 14’’ and 15.6’’ Laptop Attachés safely store a laptop while the separate file compartment holds folders, magazines and loose papers. Ensuring easy-access for stowing for personal items, the external accessory pockets seamlessly shut with magnetic snap-closures. Straight from the urban runway, Case Logic’s LoDo daypacks were intelligently designed for school, work or travel. The medium style daypack securely stores a 15’’ laptop and 10.1’’ tablet with internal and external accessory compartments for additional storage. It’s genuine leather bottom and accents, front magnetic closures, padded back panel and shoulder straps allow for a stylish and comfortable carry. 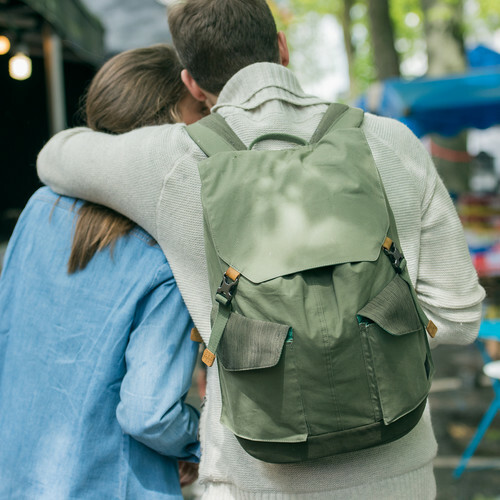 The large style daypack also offers thickly padded laptop (15.6”) and tablet (10.1”) compartments featuring a special wide-mouth, rucksack opening and a discrete zippered phone pocket. Perfectly sized and styled for protection, LoDo tablet sleeves easily store an ’’ or 10.1’’ tablet. The slim line case protects against scratches and bumps with high-quality cotton canvas exterior while the soft interior lining safeguards LCD screens. The 11.6’’, 13.’’ and 15.6’’ laptop sleeves are ideal for minimalists wanting to carry only the day’s necessities. A dedicated laptop compartment provides a high level of protection while extra storage allows room for accessories, cables and a charger. Do check out the complete range of Case Logic products https://www.thebrandstore.co.za/new-brands/case-logic and follow the brand on twitter, facebook and instagram.